When you think of making an estate plan, you probably think of creating a will. While many people do no estate planning at all, a substantial number of people who do make a plan will only make a will and not go any further in the planning process. Unfortunately, for many people, a will is just the start of the documents you need to provide full protection for yourself and your loved ones. You need to make certain you have addressed issues that go beyond just determining who is going to inherit your wealth. 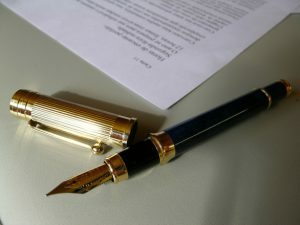 As you get older, or if you get sick, a will is not necessarily going to provide all of the protections that you need. 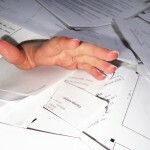 A will may not even do everything that you need it to as far as securing your legacy. 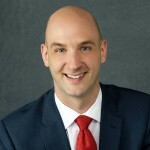 Rather than just creating a will and assuming your estate planning is complete, it is advisable to talk with an Annapolis estate planning lawyer to get advice on what you really need to do in order to make a comprehensive plan. 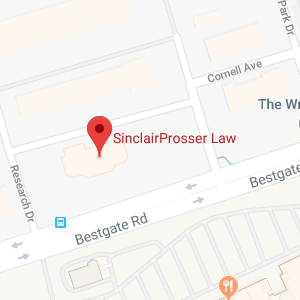 SinclairProsser Law can help, so give us a call today. Creating a will is not enough because a will only allows you to do a very narrow range of things. When you create a will, for example, you can dictate who your property goes to. Unfortunately, for the most part, you cannot control what happens with the property after you have given it to new owners. If you do not take the right steps and use the right language when creating a will, you also are not going to be able to give a gift to minors without causing a host of problems, including the possibility of an underaged child inheriting a large sum of money at 18 with no strings attached. Loss of control of assets: Unlike with trusts, you cannot provide detailed instructions and ensure they are followed if assets transfer in a will. You also cannot protect against estate tax being charged. Lack of an end-of-life or incapacity plan: A will does not protect you if you are sick or hurt and cannot make decisions for you. It does not protect you if you need nursing home care and don’t want to lose your assets in paying for it. Other legal tools can provide much more protection and allow you to take control over end-of-life issues. Forcing your family into probate: If you leave money and property to heirs or beneficiaries in a will, they are going to have to go through a lengthy and costly probate process. If you use other estate planning tools, it may be possible for you to make sure your loved ones can avoid probate. There are also many other reasons why creating a will is not going to be enough to protect yourself and your family. The key is to talk with an experienced attorney to find out what your estate plan should include. There are many other incapacity planning and estate planning tools that you should use to make certain that you are prepared for end-of-life issues and to make sure your legacy is secure after you pass away. Deciding what tools to use and making effective use of them is a complicated prospect, and you should make certain you get legal help to make the law work effectively for you. SinclairProsser Law can go over all of the tools that are commonly part of a comprehensive estate plan including wills; trusts; powers of attorney; and more. We assist people of all ages, so no matter what your life stage, we can help you to go behind creating a will to create a full plan for your future and family. SinclairProsser Law can work with you on the creation of a personalized estate plan that meets all of your needs and that protects you and your loved ones at the end of your life. To find out more about the components of a comprehensive estate plan, download our free estate planning worksheet. You can also give us a call at 410-573-4818 or contact us online to speak with an Annapolis estate planning lawyer you can trust.